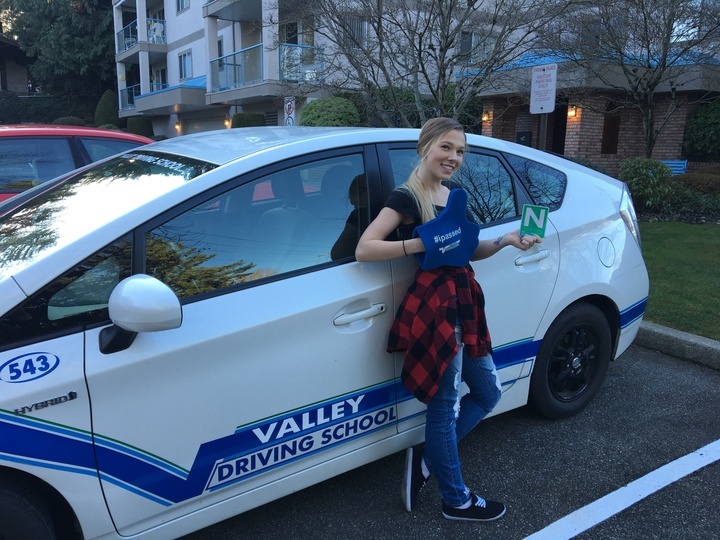 When you receive your Learner’s Licence in British Columbia, you begin to experience greater freedom with the support and guidance of your parents and other qualified drivers. The road test is the big day when you earn your ability to explore the world behind the wheel – independently! 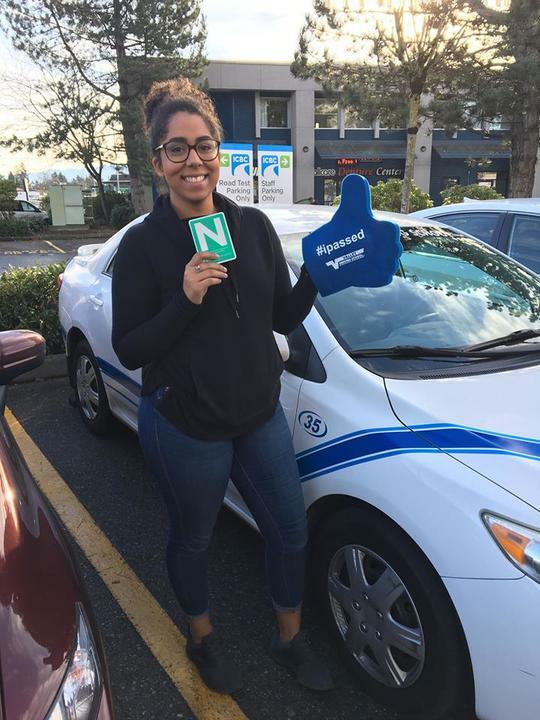 ICBC recommends upwards of 60 hours of practice time behind the wheel before you’re road test ready. How can you prepare to pass your road test? Here are 8 tips to help you prepare for a successful road test. There are strict guidelines for vehicles being used on the road test. 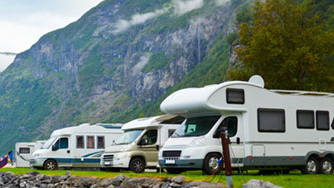 You can find ICBC’s vehicle checklist online. 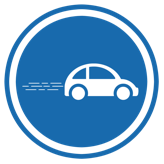 Ensure your vehicle meets the ICBC requirements so you can complete your road test as scheduled. ICBC Driver Licensing offices are busy, so you must arrive 15 minutes prior to your appointment time. For example, if your road test is scheduled for 1:15pm you must be there at 1:00pm for check in. Be sure to have all the required ID and fees available. ICBC requires 2 pieces of ID for check-in. For payment ICBC accepts cash, Visa, MasterCard, American Express, interac, and personal cheques. 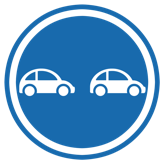 While out on your road test, the examiner will be expecting you to complete the required observations at the correct time and location. Observations are one of the 5 global skills required to be demonstrated for successful completion of your road test. 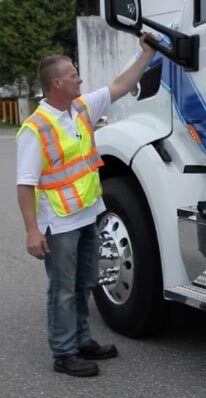 Circle Check: This is part of your pre-trip and should be completed BEFORE you get in the vehicle. Mirror checks: Should be done every 5-8 seconds. Shoulder Checks: Before any movement to the left or right. 360 checks: Before we change directions or leave a parked position. L-C-R Scans: Scanning the intersection from Left, Centre and Right BEFORE we have entered the intersection or passed the cross streets. Communication with other road users is an integral part of driving and is how we avoid collisions or avoid potentially causing them. 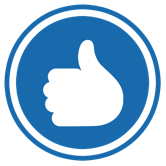 On your road test the Driver Examiner is looking to see how you communicate with other road users, not limited to just other drivers! 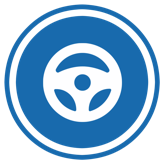 Signal use: Ensuring timely and consistent use of the turn signals indicating our intentions. Vehicle positioning: Is our vehicle position consistent with the maneuver we are completing? For example: we wouldn’t make a right turn in the left position of our lane, we would be closer to the curb or the right side of the lane. Use of the lights: We want to see and be seen by other drivers. Even it’s not legally required during daytime hours a good defensive driving practice is to drive with our lights on. Use of horn: We use to the horn to warn others of potential danger. Eye-contact: 4-way stops can be confusing sometimes, especially when we arrive at the same time as other drivers. Eye-contact can help alleviate confusion with other drivers as well as confirm to pedestrians we have seen them. Hazard Perception: At some point during your Road Test you will be asked to pull over, secure the vehicle and begin identifying potential hazards around your vehicle. Ensure you choose a safe & legal place to stop. Position your wheels accordingly if you are uphill/downhill with or without a curb and look for current hazards to identify. This global skill is one of the most obvious. We must demonstrate that we have mastered the ability to control our vehicle’s speed. During your Road Test you will be required to travel through a number of different speed zones. Roadways: You will likely travel on highways with a variety of posted regulatory speed signs and warning signs. School & Playground zones: There is no tolerance for speeding in school and playground zones. Ensure you are at the posted speed prior to entering the zone and have exited the zone fully before you increase your speed. Know the days and times the zones are in effect. Having enough space around our vehicle is vital on our busy roadways. Having space around our vehicles gives us TIME to respond safely to our driving environment. Not enough space = less time to respond. Following distances: Maintain a minimum of 2 seconds following distance between you and the vehicle in front while driving in cities. Increase your following distance to 3 or 4 seconds in poor weather, following a motorcycle or truck, when vision is limited or when travelling on a roadway with a high rate of speed. Stopping distances: When stopped behind a vehicle (especially at an intersection) ensure you are able to see the tires of the vehicle in front touching the pavement. This provides enough distance to maneuver around the vehicle in front should it become disabled. In the event of a rear-end collision you are less likely to be pushed into the vehicle in front. Steering control includes how you negotiate curves, turns, lane changes, pulling over to the side of the road and parking maneuvers. Is your steering smooth and consistent driving forward and while reversing? Are you keeping your hands on the outside of the steering wheel without conflicts? These are good indicators you have the necessary steering control to pass your road test. Turns and curves: Should be smooth and consistent, without turning too wide or cutting the corner. Proper hand position: There are 3 acceptable hand positions. If we regard the steering wheel as an analog clock we may have our hands at 10 & 2, 9 & 3 or 4 & 8. Avoid driving with one hand or having your arms in your lap. Active hands are ready for anything that may occur! There are a few parking maneuvers required for your road test. You are allowed to make adjustments, however one of the main concerns is how safe and efficient you are. We need to be as effective and efficient as possible while parking to ensure we don’t impede traffic in either direction. You should aim to have your parking maneuvers completed within 1 minute. Road side pull over: You will be asked to pull over to the side of the road and secure the vehicle. At this point, ensure you complete your neutral test to check if you are on a hill. Adjust your wheels based on whether you have a curb or no curb. Parallel park: You should be within 30 cms (1 foot) of the curb. Too close and you risk hitting the curb, too far away and you risk impeding traffic. 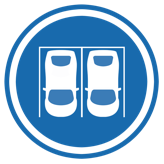 Reverse stall park: If given the choice, aim to reverse stall park with an open stall on your right side; it’s a more natural and easy maneuver. We know road tests can be intimidating, but remember that you’ve practiced and prepared for it! In the event you do make a mistake, don’t sweat the small stuff; everyone makes mistakes. Your road test examiner knows that you’re human and small mistakes may not result in an unsuccessful road test. Take a deep breath, and move on. You have an entire road test to focus on, so don’t dwell on one mistake. Instead, focus on what’s next and give it your best. In the event of an unsuccessful road test, work on the areas the examiner has discussed with you. Book another test and try again when you feel ready.